I produce THE SPEAR Podcast to help new spearos learn about the grand sport of spearfishing/freediving and help them become competent, ethical, selective spearos. I interview Spearos of great character that I feel embody the spirit of our sport and I let them share their spearfishing journey. New divers will learn from good role models. Everyone will enjoy the stories, insights, and tips. With your support I can keep creating these episodes that ultimately help preserve the positive public image of our sport. Welcome to THE SPEAR SpearoNation Tribe! You get included in our Listener-Supporter Give Aways. You can make interview suggestions, and suggest a topics for the podcast! All of the rewards of the $1 level AND You also get a link to your website or social media on our friends and supporters page at SpearoNation.com! 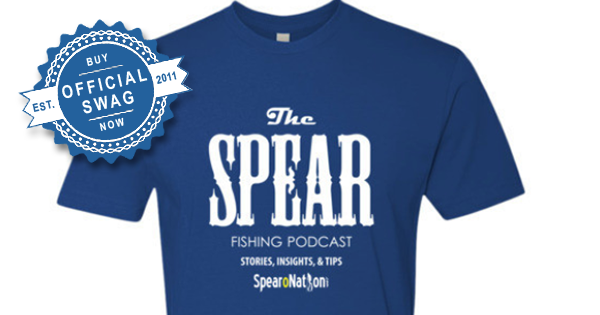 Get our Official "THE SPEAR" Spearfishing Podcast t-shirt and all of the above! 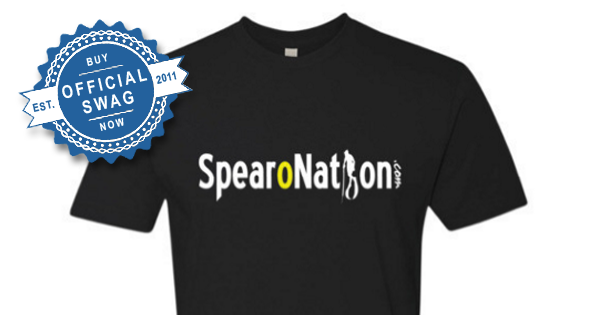 Get our Official "SpearoNation" t-shirt and all of the above! Get a phone call from Roman(me) to thank you. Pre-Roll Sponsor Level: Get your company name mentioned at the top of each episode! Also includes a link back to your website from the SpearoNation Sponsor page and from the show notes page of each episode you sponsor. Mid Roll Sponsor: Get a 30 second Mid-Roll Spot in each episode! Want to speak directly to THE SPEAR Tribe? Let's talk! Get both Pre-Roll and Mid-Roll in the same episode. I would like to outsource the editing. This takes time and I'm not great at it. Outsourcing this would mean better production and it would free me up to make better episodes.